Experience and expertise that comes with a friendly attitude and professional skills to take projects from concept to creation has made Eskapes Landscaping an ideal solution for property development and landscaping needs. Founded in 2012, the Eskapes team is always eager to apply our passion and our skills for providing superior-quality landscaping to people across the Greater Montreal Area. We believe that providing exceptional customer service is not only about what you will see when we’re finished – It’s about knowing that every step of the way your project is benefiting from a precise, calculating eye. With Eskapes Landscaping you can relax, we approach each job with the right level of care and effort to ensure that you get the same quality that we would expect to get ourselves. Choosing Eskapes Landscaping is knowing that we will leave you with a finished project that will have you eager to spend more time in your new outdoor space for years to come! 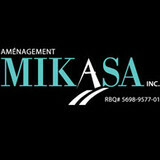 Aménagement Mikasa is a family based pave-uni unistone business with over 30 years of experience. Whether you have a new building or renovating an existing property, our team is ready to help you plan your pave-uni unistone project. We specialize in restoring existing paver and retaining wall projects and offer polymeric sand / paver sealer applications . Les Pavages Asphaltech, entreprise familiale spécialisée dans les travaux de pavage et asphalte, vous offre des services professionnels et de qualité dans la région des Cèdres. 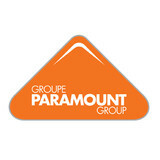 Que ce soit pour un pavage d'asphalte, pour du pavé uni, du terrassement ou encore des services d'excavation, vous pouvez confier votre projet à notre équipe, quelle qu'en soit l'ampleur. Vous souhaitez en savoir plus sur nos services de pavage & asphalte, contactez-nous au (514) 591-0016 ou visitez le www.asphaltech.ca. B.E.D.I. Entreprise Specialists in Landscaping with over 20 years of experience. We can help you bring your vision to life and increase the value of your home. We offer: -Driveways (and walls) -Stairways -Intricate stone work -Grass (laying grass and cutting grass) -Elaborate plant and flower designs We will do free estimates. If interested and have any questions please contact Rocco at 514 865 3421. Excellent Pavage c’est… Une panoplie imposante de services d’aménagement paysager. Une équipe professionnelle et reconnue par l’industrie. 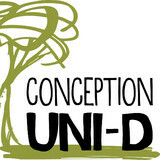 Un seul numéro 514-766-4888 pour répondre à tous vos besoins en matière d’aménagement extérieur. Cliquer sur l’image du service qui correspond à vos besoins. With over 25 years of experience, Pavage Élite is one of the most trusted names in the industry. We have a dynamic and professional team that have a passion for a job well done. 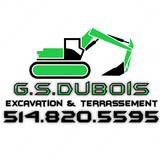 We are the Montreal area's asphalt experts. From paving jobs to French drains repairs and everything in between, Pavage Élite are the right choice for quality work. From installation to repair, Montreal, QC driveway contractors are responsible for a variety of planning, installation, construction and driveway maintenance services. Driveway installation. Before work begins on a new or replacement driveway, your professional should create plans based on your needs and material choices, as well as your property grade, soil and other Quebec landscape factors. When it comes to the actual driveway construction, driveway contractors are responsible for preparing the site, obtaining the necessary materials, making sure a strong foundation is laid, operating equipment and heavy machinery, and cleaning up the site afterwards. Driveway materials. While most driveway contractors in Montreal, QC primarily work with asphalt, they are also experts on the wide range of available driveway materials. If you are looking for something different than a standard asphalt driveway, your pro can help you select driveway pavers or customize a brick driveway design. A driveway installation and maintenance professional may work closely with a Montreal, QC builder, landscape professional or various manufacturers and suppliers. Find a Montreal, QC driveway installation and maintenance professional on Houzz. 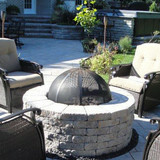 Narrow your search in the Professionals section of the website to Montreal, QC driveway installation and maintenance. You may also look through Montreal, QC photos to find examples of driveways that you like, then contact the professional or contractor who worked on them.